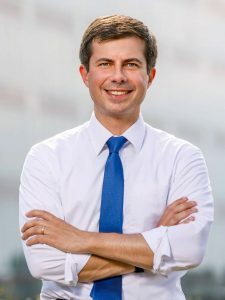 South Bend Mayor Pete Buttigieg has made quite the national splash with his presidential aspirations. On Sunday, the 37-year-old Democrat is poised to formally announce his presidential run with a rally in South Bend. In the weeks since he gained rave reviews for his performance on a CNN town hall program, Buttigieg has become the most talked about person in a crowded field of candidates vying to oust President Donald Trump. He’s everywhere on Twitter and the talk shows circuit. He’s appeared repeatedly on the Drudge Report and is currently a favorite topic of political columnists, especially conservative Jennifer Rubin. Polls released in recent days rank him in third place in California and New Hampshire at a time when many still struggle to pronounce his name. So while Buttigieg’s campaign is not exactly local, it’s still worth hearing what local political leaders think of the up-and-comer. K-County GOP Chairman Mike Ragan said Buttigieg seems to be an impressive person but dislikes how he has challenged fellow Hoosier Vice President Mike’s Pence’s religious beliefs. K-County Dem Chairman Brian Smith said what impresses him the most about Buttigieg is his foreign policy approach and the fact he’s a combat veteran. Smith points out that if Buttigieg would be elected president he would be the first president to take office while the war he participated in continues (assuming the U.S. role in Afghanistan remains the same). He said he does not think Buttigieg would let the U.S. get caught up in another war like Iraq. But while he’s impressed with Buttigieg, he’s withholding any endorsements until after the first debate this summer. Talk of Mayor Pete’s campaign came up among participants prior to Thursday’s Republican mayoral debate in Warsaw after WNDU panelist Joshua Short mentioned the issue. Mayor Joe Thallemer, who was first elected the same year Buttigieg became mayor in 2011, recalled meeting him at a “boot camp for mayors” training session. Knowing Buttigieg had graduated from St. Joseph High School, Thallemer figured he went on to the University of Notre Dame. No, Buttigieg told him, adding that he attended a small college out east. Oh really, Thallemer replied. Yes, Harvard, Buttigieg explained. 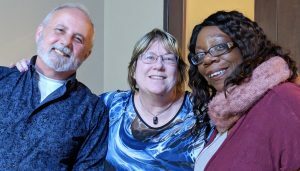 Democrats (from left) Jack Brunetto, Roxanne Coffelt and Sara McNeal Strahan Lenfestey represent the biggest showing for the party in city politics in at least 20 years. They’ll be at Warsaw Community Library Wednesday night for a public meeting. MEET AND GREET — Voters will have a chance to meet three Democratic candidates for Warsaw City Council on Wednesday night, April 17. Sara McNeal Strahan Lenfestey organized the event set for 5 p.m. at the Warsaw Community Public Library and has invited fellow Dems Jack Brunetto and Roxanne Coffelt. The three Dems represent the biggest effort by Democrats to restore some sense of political balance on Warsaw City Council in at least two decades. PLACK ATTACK? — It seems the general election ballot might not be settled in Warsaw. Chris Plack, the co-operator of a local auto dealership, has established a Facebook page and is exploring the idea of a campaign this year. Plack was active in Republican politics (but never ran for office) in his home state of Alaska before moving to Kosciusko County ten years ago. And yes, he’s met Sarah Palin back when she was mayor of Wasilla. He describes himself as a fiscal conservative with a libertarian leaning. At this point, he’s keeping his options open but is considering a run for city council or mayor as an independent candidate. Plack says he’ll make his decision after the May 7 primary. He and his family reside in District 2, which is being vacated by Ron Shoemaker. Republican Josh Finch is the lone candidate running for that district. GOP DUSTUP — It didn’t take long before some folks alerted me to a dustup at Republican Mayoral Candidate Ron Shoemaker’s campaign event Thursday night. I was at the one-man mayoral debate at the same time, but according to several reports and a video clip, Winona Lake resident Lynn Howie did not appreciate apparently being videotaped by Republican volunteer Jim Miller. At one point Howie pushed the phone into Miller’s face and walked away. Some described it as a punch to the face. Prior to that, the two had another exchange in which Miller told Howie to keep her hands off him. Miller declined to comment Friday. Howie could not be reached for comment. STILL INVOLVED — Former mayoral candidate Michael Alspaugh has found a way to stay involved in politics. He served as the moderator for Shoemaker’s event Thursday. Another former mayoral candidate, Kyle Babcock, an opponent of Joe Thallemer’s, attended and appeared to be recording or photographing the one-man debate. GOP Chair Mike Ragan avoided both events in an effort to remain neutral and instead attended the county council meeting. 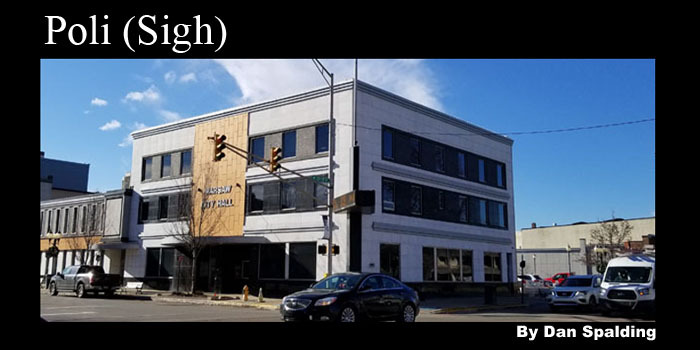 REBRANDING — A group that hosted several diversity rallies in recent years in downtown Warsaw is rebranding with a new name, One Warsaw – Celebrating Us, and has come up with an eye-catching logo. Organizers include Warsaw attorney Travis McConnell. The group’s mission is simple: Inspire community inclusion through support, education and celebration of all people. The group has open meetings. If you want to be involved, the next one is set for noon, April 23, at The Lab in downtown Warsaw. In the next month, they hope to nail down a location for a festival tentatively set for Sept. 14. To learn more, check out the group’s Facebook page. Dan Spalding covers city government and politics for InkFreeNews. He can be reached at [email protected] or at (574) 855-7612.